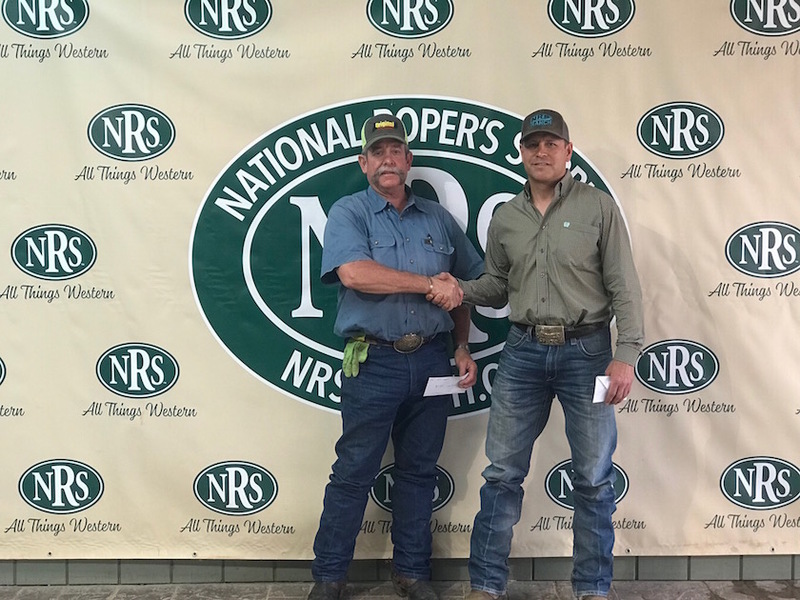 Headers and heelers showed up and showed out at the NRS Spring Swing Team Roping Competition April 5-6, 2019 at the NRS Event Center. A warm up roping was on the agenda for Friday night at 7:30 p.m. Then, first thing Saturday morning at 9:00 a.m., the real competition started. The competition consisted of one round called #10 legends and ladies, which catered to only men of age 45 or older, and women of any age. The grand champions of the Spring Swing were Casey Glenn (HD) from Walter, OK, and Ricky Houston (HL) from Duncan, OK. Each roper took home $400 plus a $1,000 cash bonus. Reserve champions were Daniel Olson (HD) from right here in Decatur and Les Brock (HL) from Bowie, Texas. Reserve champs prizes cashed out at $235 each. Left, Daniel Olson. Right, Les Brock. Check out our event center calendar at www.nrsranch.com/calendar to see what exciting events are coming up soon! Need to update your team roping gear? We have what you need. Click here to shop ropes, dally wraps, horn wraps and more.